AMC Contractors is a septic system contractor that is one stop solution for all your septic tank care. AMC is a trusted septic tank contractor with over 3 decades of service, dedication, and commitment to securing the latest technology in septic tank care, which has made us the premier source for any Septic Tank issues. AMC is proud of our unblemished services to the contractor community, and just as important, our loyal septic tank customers. Our history ensures our customers of our commitment and standard of five star quality and the best price available. We have been in business in the Inland Empire since 1981. We are a family owned business, and are dedicated to teaching you all about your Septic System and updating our clients on maintenance and new cutting age technology as it becomes available. We still give free estimates and carry all required licenses for the services we provide to ensure satisfaction and reliability. When it comes to septic tanks, we confidently provide a satisfaction guarantee for all septic tank services provided and a our commitment to quality is second to none. AMC Contractors has been in the liquid waste industry since 1981. It is a family owned business. we previously owned continental pumping co. ink in riverside county. We sold in 2007 to pursue other business opportunities in 2008 due to much demand Paul creamer started AMC contractors. His purpose was to consult and inspect septic systems only. it slowly developed into the installation and repair of septic systems. We have also added septic pumping to complete a full service company. Paul creamer is one of the most knowledgeable people in the industry he is always available to explain any questions regarding septic systems. His staff is also every knowledge also and always willing to help customers with their questions. We are only a phone call away or a click on your computer. The AMC septic contractors are your one stop solution for all your septic tank care. We have offered decades of services with dedication and commitment while at the same time embracing latest technology in septic tank care. This has since made us build and form a strongclientele.We use our knowledge, training and past experiences gained over time and relate them to your business. Thus, finding the best solutions that are available to your problems is what we do best at pocket friendly prices. At AMC contractors, customer satisfaction is very important and your feedback is valued. We work round the clock to ensure we give you quality services, treat you fairly and be honest with what we can do for you and what we can’t. Some of our services include installing of new septic systems, sewer hook ups, septic inspections and certifications for real estate transaction or obtaining building permits and provide free estimates about the same which all aim at ensuring satisfaction and reliability. All our staffs are always available to answer anyquestions regarding septic tanks that you may have. We are a phone call away or by a click on your computer. A septic system consists of a septic tank and a leach field a standard leach field may consist of leach lines, leach-beds or seepage pits. The term “cesspool” is defined as a covered hole or pit for receiving sewage and is by today’s standards an outmoded improper system. Waste water (also called affluent, raw sewage, or greywater) from the home including the laundry, is discharged into the septic tank where most of the solids are removed. Raw sewage from the house or establishment flows through the mainline (the mainline connecting all sewer lines in the home) to the septic tank. The solids flow to the solid side of the septic tank allowing the liquid to flow to the liquid side of the septic tank. The grey water flows to your leaching system. A minimize the liquid load, less water you produce the less the soil will have to absorb. Water conservation is the cheapest and easiest way to protect your septic system. Wash clothes when you have a full load. Avoid doing several loads a day. Take short showers instead of baths. Install a water saving device in the shower system. Use a water –saving device in your toilet tank and don’t flush unnecessarily. Don’t let water run while brushing teeth, hands, vegetables, dishes etc. use a stopped basin. A seepage pit is usually a five or six foot diameter pit lined with approved brick or block and may extend from ground surface to 40 ft.,the depth and size depending on the porosity of the soil. The most common standard absorption system design consists of a series of horizontal trenches (leach lines), 18 to 36 inches wide, the bases of which are generally three or four feet below ground surface. A leach bed is simply the joining of the leach line trenches into one large square bed which may serve as a “space saver” in small constricted lots. 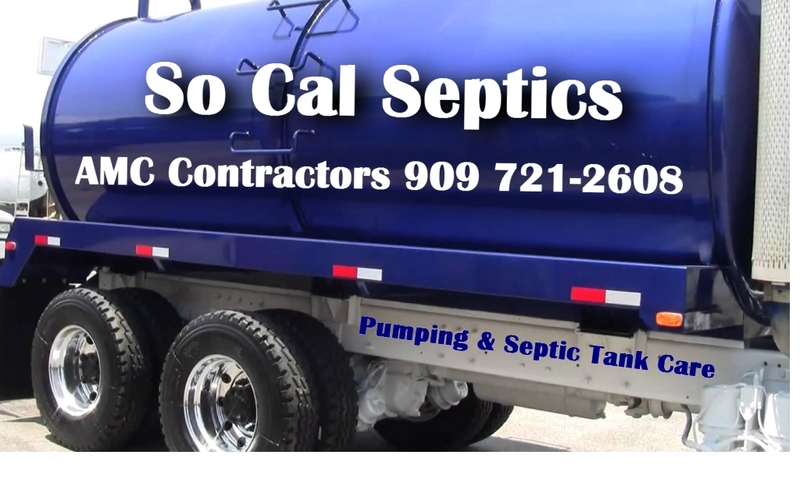 Recently So Cal Septics have been getting a lot of septic tank horror stories, please share some with everyone so they do not make the same mistakes. We are always here to answer your questions. are you interested in providing a cost proposal for installation of a 2000 gallon tank and 5 – 87′ interceptor leach lines for a new house i am building in Rancho Carrillo? I have recently suffered a terrible horror story with my Septic Tank. The Septic Leach Field had totally clogged up resulting in backed up toilets & sinks. I had the septic tank pumped out and they recommended alternative solutions. It turns out that most septic contractors would say I needed to have the old septic field dug up and all the sand, gravel & pipes replaced at a cost of who knows what, but probably like 6K or MORE. I spent hundreds of hours searching the internet to find inexpensive solutions to this horror story. I would like to share my discoveries with others, and more than half of Americans have septic systems that WILL clog up. So this is a desperately needed forum, YES! I rejuvenated my Septic Field and it was easy & inexpensive. It is now running like new thanks to AMC contractors. My friend Denise told me that a A week before 50+ people were due for a backyard family birthday a major “no no” or”doo doo” occurred,…yep you guessed it. “Up through the ground came a bubblin’ goo. Poop, that is, human waste” She told me that she to dig and get it pumped, the smell stayed in the ground for the party and lets just say that they a had a sh*&&Y time. How much is the total cost for this system? Do you have some kind of financial plan? I need to have my tank pumped. I live in Highgrove. What are your nominal rates?